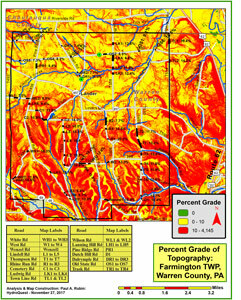 The term Geographic Information System (GIS) refers to a computer-based information system designed to link a database with spatial or geographic coordinates, such that it can be portrayed in a map format. This provides an excellent forum for analyses and presentations. 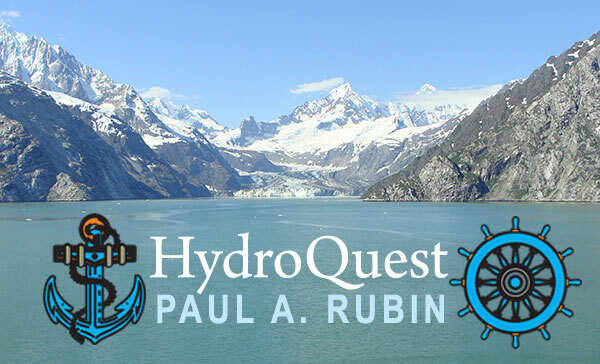 HydroQuest uses GIS technology in courtroom and other presentations, as well as in reports and affidavits. How steep is the slope on parcel of land? In what direction will contaminants move? 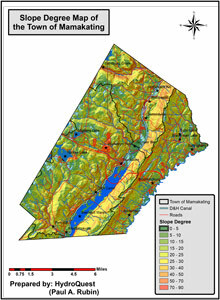 What is the physical extent and size of the watershed up-gradient of a supply well? Where is the best place to excavate for mineral extraction? 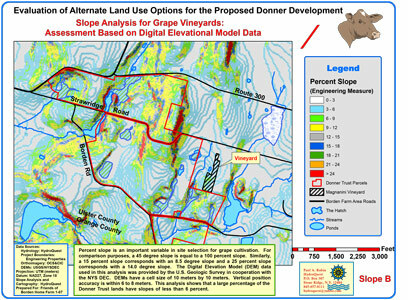 Based on soil qualities, where should I purchase land for my vineyard? 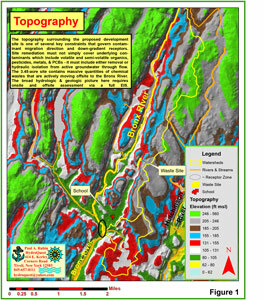 What is the best route for rescuers to take to a mountain crash site? Where in our city are crime rates highest? 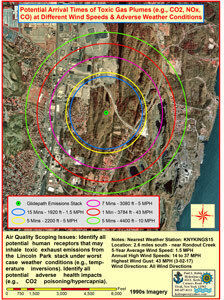 Are earthquakes prevalent near the proposed dam site? How far has the white-nose bat syndrome spread in the United States? How has community character changed through time? Where can we reroute a proposed gas pipeline away from our community? 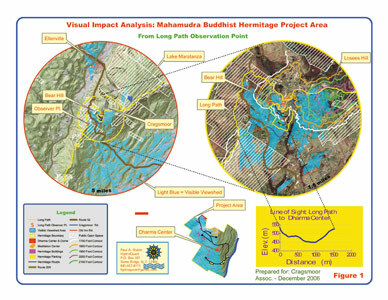 In 2018, HydroQuest completed a detailed hydrologic and geologic assessment of a proposed mining operation that, if permitted, would adversely impact a major water supply spring. 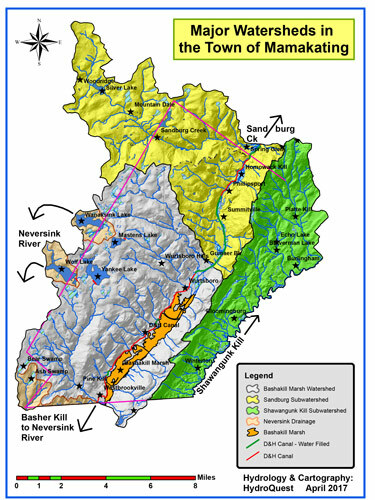 GIS maps were constructed to delineate the watershed area and groundwater flow pathways that supply spring flow. This is important from a resource protection standpoint.